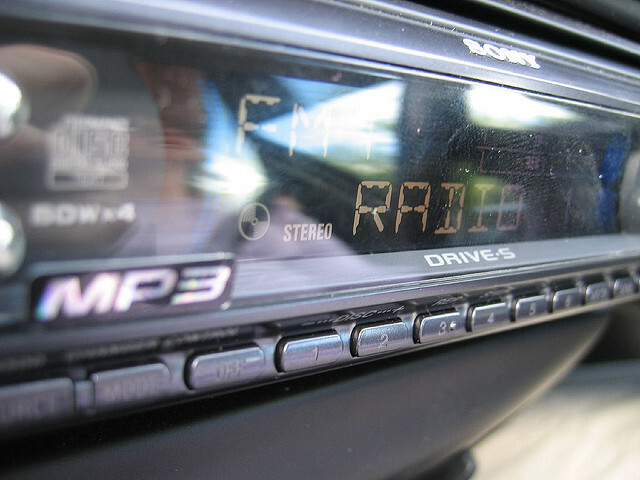 Whether your car contains the latest in-car radio, fitted with Bluetooth and mp3 function, or your car radio is fairly old, you should always be conscious of keeping your in-car electronics out of sight when you park up. The reason for this? Many hundreds of cars are broken into every year on account of thieves trying to access the in-car electronics to sell on. By keeping your valuables out of sight, you will remove the possibility of your car being attractive to thieves. There are many ways to protect your car and its valuables – here are some further tips for ensuring that your in-car electronics are not stolen. If you park your car in an unknown area, well out of sight of anyone and anything, there is a higher chance that you may come back to find that it has been broken into. Conversely, if you park your car in a very public place where there will constantly be people milling around, then this risk is lessened. The more people that are around, the less likely someone is to attempt to break in to your car, for fear of being caught. An inexpensive way to stay on alert to thieves is to install an alarm on your car. All you have to do is activate this alarm when you lock your car and hey presto. The majority of cars these days do not come equipped with alarms which makes it easier for a break-in to occur unnoticed. If a thief is suddenly disturbed by a loud and wailing alarm, he is likely to move on pretty sharpish before he attracts the attention of somebody. It may sound obvious to shut your car windows and to lock your car doors but think about it for a moment: it’s a really hot and sunny day so all of your car windows have been open to allow plenty of air to circulate. When you come to a standstill, it is likely that you will once again feel the warmth of outside radiating in and thus you won’t even think about closing the windows. It is a similar case with locking your door. Oh it won’t matter because I’ll only be in the shop for a minute. The next thing you know, there is a huge queue and you spend at least 15 minutes inside the shop. That is more than enough time for someone to open the car door and take anything valuable on display, without alerting anyone’s attention. Rather than leaving your valuables on sight for all and sundry, you could transfer them to your glove box. Or better yet, as the majority of thieves will now break in to your car in the knowledge that valuables are stored there – store them in your car boot or take them out with you. A Halfords portable DVD player on full display is like a magnet to a thief. Likewise, if you have a Halfords GPS and you do not remove it from the window, anyone can see it. Remember the phrase, out of sight, out of mind? You should live by this motto when it comes to protecting your in-car electronics.